In the longer run, Christianity tends to reshape society from a shame culture to a guilt culture, for the real value of an individual is found not in what others think but in what God knows. Christian influence in Korea, however, has been of significance for only a very brief time, and Confucian values continue to predominate, maintaining a society where that which matters most of all is one's hierarchical status, undergirded by honor and threatened by shame. Confucianism would thus seem to be the dominate quality in Korean identity, though the long Buddhist presence on the peninsula has left an underlying substratum, and Christianity is growing in its significance. Korean identity would therefore appear to be what Brague calls "eccentric," centered on places that -- to its own geo-cultural sphere -- are external, namely China, India, and the West. But not all is as it appears. Koreans experienced thirty-five years of Japanese colonialism, and the post-liberation period has seen an exponential rise in Korean nationalism, a surge of feeling that pervades society and infuses the political right, left, and middle. Especially North Korea has emphasized Korean nationalism of an extreme form, for what is the North's ideology of juche other than a radically nationalistic elaboration of exclusively Korean identity? Hostility to the US and Japan, and distrust toward Russia and even China characterize the North's ethnically based ideology. The North Korean case is extreme, of course, but South Korea shares some degree of the North's ethnic nationalism and still claims Korean purity of blood as the basis for this nationalism. 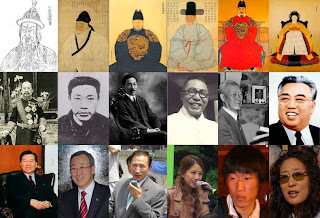 Koreans therefore appeal to an indigenous Korean identity that would predate Western Christianity, Chinese Confucianism, and Indian Buddhism, thereby centering Korean identity in nativist ethnocentrism. I follow this passage with a longer one on the meaning of the Dangun myth, but I'll spare you that. Now for some needed rest . . . But what does that mean -- what is a Korean? Perhaps a contra-Braguean turn can help us approach an answer to this question. Brague begins his analysis of European cultural identity geographically by drawing a pair of cartographical dichotomies, a north-south axis to separate West from East and an east-west axis to separate North from South. These axes have shifted over time -- east or west and north or south -- with the vicissitudes of history, but they are understood as lines of cultural exclusion. Yet, let us initially approach the question of Korean identity in an opposite manner, as a series of inclusions, a procedure that entails surveying some rather familiar territory. Perhaps we should now finally return to the question with which we began our inquiry: "What is a Korean?" One is tempted to respond with platitudes. 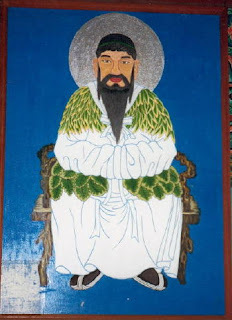 For example: a true Korean combines the universal sympathy of the Buddha and the all-encompassing love of Christ with the solemn dignity of Confucius, the teachings of all three having been grafted onto the ancient trunk of the sandalwood tree under which Dangun sat and taught. Such a nation of eccentrically centered 'Eastern Learning' (donghak) individuals would be an imagined community indeed! Granted, these four great teachers have had profound pedagogical influence in Korea, and Korea is a land that respects teachers, but their teachings do not mutually cohere. Conflict is therefore inescapable, even in a nation that highly extols harmony. Moreover, the teachings of a particular tradition are not always well-learned. We thus too often meet with the indifferent Buddhist, the hateful Christian, the arrogant Confucian, and the exclusivist 'Dangunian'. But whether we encounter the good or the bad, we begin to recognize that for better or for worse, Korea itself is rapidly changing into an even more complex, increasingly multiethnic society that contains the world. The question is therefore not so much "What is a Korean?" as "What is a Korean to be?" As you see, nothing surprising in this, but I figure better safe than sorry in summing up what is meant by "Korean Identity?" -- my article's provisional title. But if others want to present their own answers to this question, have at it in the comments. This must be the place . . .
My cyber-friend Malcolm Pollack recently posted this image on his own blog, remarking that if you "can't find the book you're looking for . . . it's probably because you're in the Wong Fook Hing Book Store." Like being in that renowned cheese shop looking for the 'wrong' cheese, I suppose. 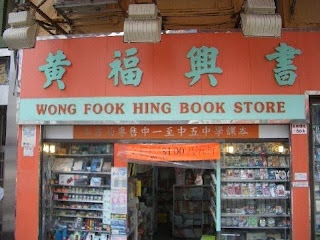 Still, the thought occurred to me that . . .
. . . if you're in the Wong Fook Hing Book Store, then you must be looking for the wong fook hing book, so they'll surely have it -- even multiple copies. In that case, obviously, you will have come to precisely the right place! Sorry for the gutter humor, but my candle's about guttered out this late night . . .
About a week ago, I posted a series of entries on Hwang Sok-yong's novel The Guest as part of my attempt to understand why he refers to smallpox in Korea as a Western disease. Part of my difficulty was due to an insufficiency in the translation, so when my wife helped me with the original Korean, I came to see that Hwang is playing upon two senses: west as direction and West as place. He cleverly uses this wordplay in his criticism of Christianity's effect on Koreans. For "son of God," she uses hanunim adeol (하느님 아덜). Both terms, hananim and hanunim, appear to be longstanding Korean expressions for God and have been explained as dialectical variants. At any rate, Hwang seems to have identified them for the purpose of his central theme, the call for a return to what is traditionally, exclusively, and authentically Korean. Or so it seems to me, but I could be mistaken since I lack expertise. Experts are therefore welcome to comment on what one astute commenter has described as my "oily undergraduate pretensions." "Shusyan University in South Korea"? The Middle East Media and Research Institute (MEMRI) mentions a certain "Shusyan University in South Korea," which I'm guessing refers to Chosun University, in Gwangzu. The peculiar spelling comes by way of Memri's romanized transcription of the Arabic version of the original Korean. Al-Sharq Al-Awsat interviewed [Dr.] Hamza Kyong, lecturer in Middle East research at Shusyan University in South Korea; in the interview, he spoke of the South Korean Muslims' great need for material and spiritual support. He said that South Korea was completely free of 'islamophobia,' but that this did not prevent the distortion of the image of Islam there. Therefore, [he said, South Korean Muslims] need help and support from the great Islamic institutions in the Muslim world. Hamza added that Islam is a world religion that is merciful and tolerant . . . [W]hat we are seeing today in the world is only a foul wave representing mistaken perceptions of Islam. This wave is still spreading worldwide, due to the informational advantage possessed by the rivals of Islam and the Muslims. Buddhism, Confucianism, and Christianity are very widespread in Korea, and their adherents allocate huge budgets to disseminate them. Meanwhile, the Muslims in Korea face economic problems that hamper the establishment of [Muslim] schools, mosques, and broadcasting centers. There is no escape from pointing out that the Protestant and Catholic churches rival each other in sending out missionary delegations to South Korea, turning this country into the regional Asian center of Catholic missionary activity. The emphasis looks a bit misplaced to me. I'd say that South Korea is the regional Asian center of Protestant missionary activity, for the great majority of the some 15,000 Korean missionaries are sent out by Protestant churches, some of these being sent to Muslim countries -- as we know from the deaths of Protestant Korean missionaries in Iraq, Afghanistan, and Somalia over the past few years. As a response to this mission work, Al-Jalahma (or possibly Hamza Kyong) urges Islamic mission work (da'wa) in South Korea. The reason given is that the "number of Muslims today [in Korea] is some 20,000, out of 40 million Koreans," and that whereas conversion to Islam in Korea used to be "1,000 annually . . . , this number has been decreasing since the 1980s, and [today] is [only] about 250 annually." Those numbers look suspect to me. South Korea has a population of 50 million, and the 20,000 figure, even if correct for the number of Korean Muslims (which I doubt), ignores the great number of foreign Muslims in Korea. In other words, I wouldn't rely on Al-Jalahma for the facts on Islam in South Korea . . . or elsewhere. Living outside the States over the years inures one to the constant anti-American refrain, and I've become adept at dismissing criticism by simply not reacting. After all, whose mind is going to change? A couple of New York Times articles have pushed me toward admitting that there might be a problem with a lot of American wines -- and not just American ones, by the way, but Australian and other non-European wines as well. Here is what he likes: wines that are low in alcohol and high in "wild, exhilarating acidity"; wines that are light and aromatic; "skanky" wines that are "unpredictable" and "ornery" wines that "provoke an emotion"; wines "fully expressive of a place and its history." Here is what he hates: rich, fat, sweet, super-concentrated, overripe, jam-dense, high-alcohol, oaky, inky-colored, vanilla-y wines with no sense of place or identity. And here is why he's angry: since the late 1970s, the wine world has been trending away from the former and toward the latter, in a process of global homogenization that, he claims, is erasing local identity and historical memory. One of the main culprits, in Nossiter's eyes, is the enormously influential American critic Robert Parker, the so-called "emperor of wine." Parker grades wines from all over the world on a numerical scale of 50 to 100, like in elementary school. Consistently among his highest-scoring wines (which consequently fetch astronomical prices on the international market) are the big, sweet, high-alcohol fruit bombs. Nossiter blames Parker, along with the winemakers and consultants who hew to his judgments, for infantilizing taste by directing it toward "sweet and easy things." Even in France, wines are being made to please an American palate attuned to soft drinks and hard liquor. Nossiter's vendetta against Parker is hair-raisingly comprehensive, taking in everything from the mega-critic's "nonsensical, frequently ungrammatical" tasting notes to his "blandly kitschy suburban home" adorned with autographed pictures of Ronald Reagan, no less. Nossiter is no stranger to controversy over wine. His 2004 film Mondovino covered some of the same territory as this book, and though I've not seen the film (nor read this book), I think that he has a point, based on what I've heard. The quality known as "terroir" is real, but it's losing out to "wines with no sense of place or identity" -- as Holt summarizes Nossiter's critique. I'm taking this criticism more seriously not merely because it comes from Nossiter, an American, but also because it's implicit in another recent wine article, this one by a wine connoisseur, likewise American, whom I regularly read, Eric Asimov. Nobody goes out to dinner in the San Francisco Bay Area to eat food flown in from Europe. Right here is the spiritual center of the Eat Local movement, which has persuasively argued the political, environmental, ethical and culinary benefits of cooking with local ingredients and supporting local agriculture. San Francisco is also in the heart of the California wine country, with Napa and Sonoma to the north, and the Santa Cruz Mountains and Monterey wine regions to the south. Restaurants here that so prominently credit their local food purveyors on their menus no doubt feature local wines loudly and proudly, right? Not quite. A surprising number of Bay Area restaurants, including many dedicated to cooking with local ingredients, offer wine lists dominated by European bottles. What gives? Is this hypocrisy pure and simple? Apparently not . . . or not usually. The reason becomes clear as Asimov asks around and learns why. European wines pair better with the food served in many San Francisco restaurants, especially the ethnic restaurants of the city. California wines tend to be heavier and more powerful than many European wines. 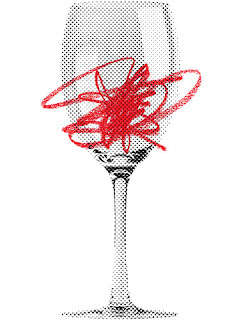 In the judgment of many Bay Area sommeliers, they make for less-than-ideal partners on the table. 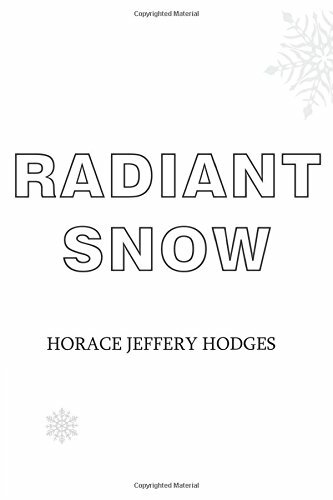 Although Asimov and his interlocutors don't use the term, they are talking about the previously noted terroir, that untranslatable French expression defined by Holt as: "the ineffable way that soil, light, topography and microclimate conspire, over generations of human stewardship, to endow a wine with its unique soul . . . . [and offer] a sense of place you can taste." I'm no wine expert, hardly even an amateur, but I do understand the point and can finally accept that the German girl with whom I shared a wine many years ago simply didn't like 'American' wines, and that her dislike wasn't grounded in anti-American sentiment but in terroir . . . though I suppose that she was, nevertheless, anti-American -- and therefore still an anti-American terroirist. Rebby Sharp on her creative process . . . Although the exquisite corpse method of composition apparently requires collaboration, she does not say if she had a collaborator in her poetic compositions (though she did collaborate with Jon Graham on their poems in Hydrogen Bums). If not, then I wonder if these poems on her website are, technically, exquisite corpse poetry. One question that arose [in my post on your poetry] was about your "exquisite corpse" methodology. Wikipedia says that an ex-cor poem is a collaborative effort, but I wasn't sure how closely you adhered to that model. Perhaps you could satisfy my inordinate curiosity? I wrote each line as if I were making an exquisite corpse with someone like Jon Graham. Opening a book at random, choosing a word or phrase then quickly making the phrase is also similar to "automatic writing". . . since I was alone, I was trying to include a type of outside influence. After the pages were filled I began to loosely assign a line to each image compiled in groups by size or something, then made a "poem" that suited. I thought the result had an element of sympathetic collision that I find so attractive in E.C. writing. So Wikipedia has steered you correctly [about E.C. writing], [but] no other person was involved [in this case]. The surrealists remain a major inspiration to me in traversing the known/unknown, the coincidental/intentional and whimsy so that I cited one of their major recognizable contributions to the written word. This is the first I have written about the process. A variation on the [exquisite corpse] method, incidentally, might be implemented by selecting recognizable lines from famous poems and arranging them to form exquisite nonsense. Perhaps I'll try that myself sometime . . .
Ms. Sharp, however, explored a variation that preserved the surrealists' reliance on a stochastic creative process by opening books at random to find a word or phrase for inspiration. Lethem . . . once composed an entire essay about artistic appropriation by using sentences pilfered from other sources. Well, what is a quote but a creative, if acknowledged pilfering? I've often sought sources for a single theme explored among variations. In the midst of these variations the theme was always ingeniously and excitingly retrieved, if I do say so myself. But I'll acknowledge Cowles on Lethem's artistic appropriation: "Another World," New York Times (October 22, 2009). I'll also some day 'write' that poem compiled with lines pilfered from famous poems. But back to Ms. Sharp, who mentioned -- in a comment to my blog entry on her poetry and art -- that she has also written lyrics for music. She didn't specifically state that she also sings, but I elsewhere noted via link that she has performed the vocals to her own songs. By searching further, I found her voice online singing "Just in Time" at the blog La Folie du Jour, along with a brief, retrospective review of her album of twenty years ago In One Mouth and Out the Other. Ah, the winged victory of words, over and over and over . . .
Where the wild things still are . . .
An old friend sent news of a female black bear and its three cubs shot recently near my Ozark hometown of Salem, Arkansas -- though not the specific bear pictured above, I presume, since the man doing the shooting wasn't aiming to take photos. Local reporter Clover Birdsell, writing for the Area Wide News (October 21, 2009), tells us in "Bears shot at Union home" that a fellow named Bruce Knapp from Pineville, Arkansas shot the bears at his mother's home in Union, Arkansas, which is about ten miles of my hometown on Highway 9 and just a few miles north of Oxford . . . in other words, about the same place where my son, En-Uk (with help from his sister, Sa-Rah), was catching his world-record catfish last summer. "(Knapp's mother) was a bit scared because of the bears," Gaskins said. She had been in the home at the time the bears were discovered. "We've had reports of bears out there for many years, but this was her first time seeing them so she was kind of shook up." The aunt pulled up in her vehicle and saw the bears. Her presence startled the sow that then jumped into the dog pen, next to the house where Knapp's mother remained. The dog pen was covered by a solid wooden fence facing the street, Gaskin said. The aunt began honking her horn, and the sow jumped out of the dog pen over the fence. One of the three cubs went up a tree about 20 yards from the front porch of the residence. The sow went with her cub. The other two cubs were across the road, where they remained while the aunt and mother called Knapp, Gaskin said. Knapp then came over to discover the sow and her cub making noise in the tree. He shot the sow and cub then proceeded across the road and shot the other two cubs, who had become startled and were making noises, Gaskins said. Gaskins has served in the AGFC since 1985. He has observed the black bear in its native Arkansas habitat, and has never had to handle an incident where a black bear was showing aggression toward a human, he said. Offensive or "predatory" or "predaceous" attacks on humans by black bears do occur but are very rare. During the period 1900-2003, there have been 52 human fatalities from black bears, more than 80% of which were predatory in nature. Of these, 5 have occurred in Alaska, 11 in the lower 48 USA, and the remainder in Canada. Non-fatal predatory attacks are more frequent but still rare. The trend of bear-inflicted injuries -- at least in Canada -- has grown along with the human population. Predatory attacks have typically been in remote or rural areas, probably where bears have little or no experience with people, and almost always have involved male bears. Persons most at risk have been those hiking, fishing, berry picking or working in remote areas. In British Columbia between1960-1997, 77% of black bear attacks involved such persons. Recently, there is some indication that predatory attacks are increasing in more settled areas, although data are yet sparse. Wounded bears and sows protecting young are a small component of the serious injuries or fatalities from black bears. 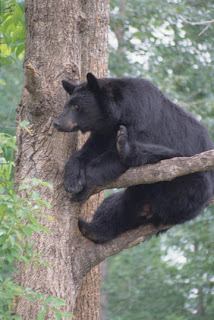 As you see from this information provided by Mass Wildlife, "Black Bear Problems and Control," such attacks are rare, though a comment left by one reader of Birdsell's article provided a link to a 2006 report of a fatal, apparently predaceous black bear attack on a child in Tennessee. In the Arkansas case described by Birdsell, however, the bears seem not to have been aggressive. The fact that the female bear followed its cub up a tree suggests that the sow was afraid rather than predaceous. Leaving the bears alone would probably have resolved the situation -- though we'll never know for sure now. According to the report, Knapp will probably have to pay a fine of $100 to $1,000, so I suppose that he will likely have learned an expensive lesson on the cost of shooting bears, for the days of unlicensed hunting for "Old Slewfoot" are long gone. It's a pity, I would say, that salvation is part of the package, but Christians black and white, working in Africa, do heal the sick, do teach people to read and write; and only the severest kind of secularist could see a mission hospital or school and say the world would be better without it. I would allow that if faith was needed to motivate missionaries to help, then, fine: but what counted was the help, not the faith. Whenever we entered a territory worked by [Christian] missionaries, we had to acknowledge that something changed in the faces of the people we passed and spoke to: something in their eyes, the way they approached you direct, man-to-man, without looking down or away. They had not become more deferential towards strangers -- in some ways less so -- but more open. I noticed that a handful of the most impressive African members of the Pump Aid team (largely from Zimbabwe) were, privately, strong Christians. "Privately" because the charity is entirely secular and I never heard any of its team so much as mention religion while working in the villages. But I picked up the Christian references in our conversations. One, I saw, was studying a devotional textbook in the car. One, on Sunday, went off to church at dawn for a two-hour service. Anxiety -- fear of evil spirits, of ancestors, of nature and the wild, of a tribal hierarchy, of quite everyday things -- strikes deep into the whole structure of rural African thought. Every man has his place and, call it fear or respect, a great weight grinds down the individual spirit, stunting curiosity. People won't take the initiative, won't take things into their own hands or on their own shoulders. How can I, as someone with a foot in both camps, explain? When the philosophical tourist moves from one world view to another he finds -- at the very moment of passing into the new -- that he loses the language to describe the landscape to the old. But let me try an example: the answer given by Sir Edmund Hillary to the question: Why climb the mountain? "Because it's there," he said. To the rural African mind, this is an explanation of why one would not climb the mountain. It's . . . well, there. Just there. Why interfere? Nothing to be done about it, or with it. Hillary's further explanation -- that nobody else had climbed it -- would stand as a second reason for passivity. I take it that Parris is a Protestant atheist (as he elsewhere in fact admits), and he seems to be theorizing about a rural Africa of the past, perhaps of his childhood. Moreover, he overemphasizes the individualist aspect of Christianity, for even Protestantism insists that the believer belongs to the body of Christ, which is the church -- a more abstract concept of the church than in Catholicism, of course, and not to be fully identified with any particular denomination, but a corporate dimension nonetheless. I do therefore wonder -- and I'm merely wondering, mind you -- just how beneficial for Africans are such churches as the "Mountain of Fire and Miracles Ministry" . . . though possibly even a gospel of wealth has its liberating aspects, from a sociological perspective, at any rate. Adam and Eve: "the liveliest pair"? Ah, the pleasure of typos! I've been using the Everyman Complete English Poems of Milton this term, edited by our extraordinarily learned colleague Gordon Campbell. One word that escaped Gordon's eye was in PL 4, 321, where we learn that Adam and Eve were "the liveliest pair / That ever since in love's embraces met". A mischievous typographer? My students were understandably a bit disappointed when, duty bound, I gave them the true reading of the line. "Were they?" I wondered, and did a Google search for "liveliest pair," whereupon I discovered another couple, finding them listed as the final item among the search results: Eva and Nick. 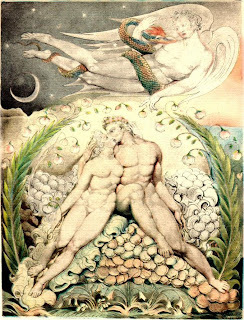 I didn't look further into the details on these two, who are described in the search results as "enjoying the fruits of one another's loins," but I'm taking a wild guess that it's a filmed reinterpretation of Milton's account in which Eve has an affair with "Old Nick" -- as perhaps implied by Blake's ménage à trois above -- and that the forbidden fruit was none other than the aforementioned fruit of their loins. Or was Professor Campbell simply restoring the long-lost original line and thereby providing a more precise understanding of Milton's views on prelapsarian sexuality? So far, no other scholar has disagreed with me, so I'm taking the universal silence on this point as unanimous acknowledgement. Perhaps I should publish an article . . .
Poetry Break: Rebby Sharp's "Exquisite Corpse" Poetry? "Lay me down in cuttlefish sepia"
Yesterday, I blogged about the sung poem "Automatic Bifocals" and linked to a website by one of the poem's collaborators, Rebby Sharp. The main purpose of this site is to share these drawings in the form of slideshows. Each drawing is accompanied by a phrase. These phrases are assembled in the manner of an exquisite corpse poem. 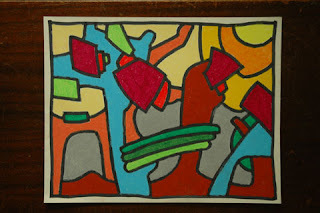 These images are drawn in an automatic way with indelible marker and filled in with oil pastel color. This method was inspired by and approximates pictures that I produced on the enjoyable KidPix software. I have been making outline drawings for a long time. Surrealistic nonsense these lines may be, but I find great, humorous sense in some of them, e.g., "Prevail sweet butter in these times of oleogarchy." I imagine this line began with an unexpected pun on "oligarchy" and was written to reflect what "oleogarchy" might mean -- a tyranny of margarine, I presume. The line seems unconnected to its corresponding image, but you can take a look on Ms. Sharp's site for sore eyes and see for yourself. Exquisite corpse (also known as "exquisite cadaver" or "rotating corpse") is a method by which a collection of words or images is collectively assembled, the result being known as the exquisite corpse or cadavre exquis in French. Each collaborator adds to a composition in sequence, either by following a rule (e.g. "The adjective noun adverb verb the adjective noun") or by being allowed to see the end of what the previous person contributed. Or so said Wikipedia as of this morning, but a wiki entry is something of an exquisite corpse itself and could change by the time you access it to check, as each collaborator alters the composition. According to Alastair Brotchie and Mel Gooding in A Book of Surrealist Games (Shambhala, 1995, 143–144), the expression "exquisite corpse" comes from a phrase written when Surrealists first used the method: "Le cadavre exquis boira le vin nouveau." In English, this reads as "The exquisite corpse will drink the new wine." That sounds rather like a blasphemous allusion to the promise of the wine to be enjoyed by the resurrected saints at the eschaton's heavenly feast, a sacred meal already enjoyed proleptically through the eucharistic bread and wine (cf. Matthew 26:29; Mark 14:25; Luke 22:18). But back to Ms. Sharp. Although the exquisite corpse method of composition apparently requires collaboration, she does not say if she had a collaborator in her poetic compositions (though she did collaborate with Jon Graham on their poems in Hydrogen Bums). If not, then I wonder if these poems on her website are, technically, exquisite corpse poetry. A variation on the method, incidentally, might be implemented by selecting recognizable lines from famous poems and arranging them to form exquisite nonsense. Perhaps I'll try that myself sometime . . .
scanner scanner where are you? Apparently, these are only the first six lines of the poem, composed as a collaboration between Rebby Sharp and Jon Graham for their surrealist book of poetry, Hydrogen Bums, apparently self-published underground in 1983, for there seems to be no ISBN code. You can find more such surrealist poems by Ms. Sharp on her art website, where they accompany a gallery of images. Elsewhere, she's set poetry to music. As for Mr. Graham, I know less about him. The book Hydrogen Bums is also mentioned in passing by Jonathan Shipley, "Running with Scissors" (Fine Books and Collections, 2009), as having a title that pokes fun at the whole enterprise of book-making as an art form. This poem "Automatic Bifocals" ain't high art, not by any means, but to echo Burton's Joker standing before a Francis Bacon painting, I can also say, "I kind of like this one." Especially that second line, "trees barking up the underdog," which works very well as a handy retort to stubbornly insistent -- despite reasoned refutation -- online nonsense. 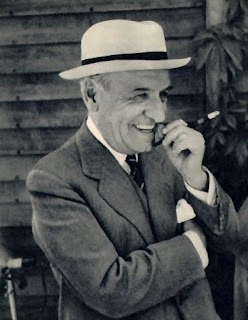 José Ortega y Gasset: "Europa es el único continente que tiene un contenido." "Europa es el único continente que tiene un contenido." The Spanish word "continente" means both "continent" and "container," permitting either of two translations for Ortega's reply: "Europe is the only continent that has a content" and "Europe is the only container that has a content." He meant both, and one sees what he meant. Europe has a cultural unity that other continents lack. Perhaps Europe's cultural unity is less impressive as a unique fact when one reflects that this continent is the artifact of an arbitrary line drawn to separate what is considered 'Europe' from what is considered 'Asia.' Looked down upon from above, Europe seems merely an Asian peninsula. But the imaginary line exists in everyone's mind. To its west, Europe. To its east, Asia. West of the line, we find a civilization that integrated Athens and Jerusalem. East of the line, however, we find many civilizations. To be identified as "Asian" is therefore only a geographical distinction and implies nothing about one's cultural identity. Whereas a German might casually remark, "I am a European," and thereby make a recognizable statement of cultural identity, a Korean would not formulate a corresponding remark in stating, "I am an Asian." For a Korean to offer a parallel statement of cultural identity, the formulation would have to be, "I am a Korean." I've been 'officially' asked this question concerning Korean identity and now have to reflect upon it. Perhaps my recent encounter with Hwang Sok-yong's novel The Guest will provide some grist for this cultural mill, and I'll certainly be grinding away, but others with more knowledge than I are invited to comment here. 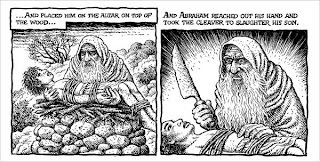 The Book of Genesis Illustrated: Did R. Crumb 'Get Religion'? One day 15 years ago, for no reason he can remember, Mr. Crumb decided he wanted to read the myths of ancient Sumer. Eventually he found a scholarly work that said some of the myths were similar to the stories in Genesis. He read Genesis closely, and the idea of illustrating it clicked. "I don't think Isaac knows exactly what is happening. He is very passive. In Genesis he is a very passive character. He is not as active as Jacob or Joseph or Abraham. Abraham is kind of a take-charge dude. But even Abraham gets pushed around by his wife. They all get pushed around by their wives." "The matriarchal traditions, which were suppressed when the priestly class modified these old myths for the Bible, come through more strongly when the stories are illustrated." "The fact that people can persist in the information age to take this as a fundamental word of God, words to live by, rules to live by, that's really crazy to me." "I had no intention to scandalize the Bible," he said. "I was intrigued by the challenge of exposing everything in there by illustrating it. The text is so significant in our culture, to bring everything out was a significant enough purpose for doing it." Well, I for one would like to peruse Crumb's illustrated Genesis. I imagine that he has his lucid moments of graphically depicted insight in which he does, indeed, 'get religion'. Take a look at the regretably abbreviated slideshow and see what you think, but if you want even more graphic details, see Boing Boing's sneak peek at Crumb's illustration of Sodom's dire fate. 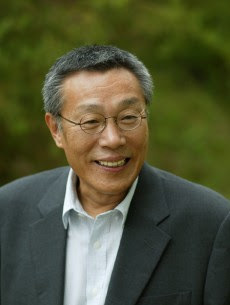 Hwang Sok-Yong: "the Guest is a Western disease"
I'm still trying to understand the meaning of smallpox as a 'Western' disease in Kyung-Ja Chun and Maya West's translation of Hwang Sok-Yong's novel The Guest. I express myself in this awkward manner because I am doubtful that the translators have adequately captured the ambiguity in Hwang's original text. I've already established in yesterday's post that Hwang recognizes that smallpox was already in Korea prior to Westerners and even before Catholicism was brought to Korea from China by Koreans themselves. In fact, as indicated in two earlier posts, Koreans identified the smallpox demon as having its home in southern China. The translators provide "the Guest," but Big Grandma uses the expression "the Guest Mama" (손님마마: sonnim mama, guest lord), and where they supply "Western disease," Big Grandma says "westward disease" (서쪽 병: seojok byeong), indicating the direction west. The translators then have Big Grandma as saying that the disease came from "the Western country," but the original Korean says a "westward country" (서쪽 나라: seojok nara). Big Grandma is apparently using traditional terminology that did not refer to "The West." However, when she refers to the "Western spirit," she uses the Korean expression yanggushin (양구신 [양 (洋) + 구신]), where yang (양 [洋]) is an abbreviation of seoyang, "The West" (서양) -- and gushin (구신), as already noted above, is dialect for guishin (귀신), meaning "spirit" or "ghost." "Ever since we were children we have known that the Guest is a western disease. A barbarian disease, they call it, from a country to the west, so it's certain that it came from the land where they believe in the Western Spirit, you see? I had to send away two sons, your grandpa's two older brothers, with the Guest. So would I be overjoyed, would I be ready to believe in the Western Spirit like my one surviving son -- or would I be angry at it -- angry forever?" Translated in this manner, the passage would retain the original Korean's ambiguity that Big Grandma is playing upon in identifying the Guest with the Holy Spirit. But I'm no expert in Korean language or Korean folk beliefs, so I stand ready to stand corrected. Hwang Sok-yong: "The ghosts of North and South Korea"
When smallpox was first identified as a Western disease that needed to be warded off, the Korean people referred to it as "mama" or "sonnim," the second of which translates to "guest." With this in mind, I settled upon The Guest as a fitting title for a novel that explores the arrival and effects of Christianity and Marxism in a country where both were initially as foreign as smallpox. Since both Christianity and Marxism arrived from "The West" (though the process of their 'entry' is actually more complicated than this), then Hwang would appear to be interpreting the direction seo (서) for "west" in the term seobyeong (서병) to mean the place seoyang (서양), "The West," as it would mean in the more precise seoyangbyeong (서양병). Did Hwang thus misunderstand the Korean expression seobyeong (서병) to mean "Western disease" . . . or was he knowingly punning on seoyangbyeong (서양병), as though seobyeong were shorthand for that? Since Hwang is Korean, then a misunderstanding would seem unlikely, which leaves a pun as the more likely, but if so, why did the translators render seobyeong as "Western disease"? A pun would have better been conveyed by "western disease" instead, which retains the ambiguity between "western" as a direction and "Western" as a place. In the 17th century, when smallpox was first identified as a western disease that needed to be warded off, the Korean people referred to it as mama or sonnim, the second of which translates to "guest." With this in mind, I settled upon The Guest as a fitting title for a novel that explores the arrival and effects of Christianity and Marxism in a country where both were initially as foreign as smallpox. This slightly longer online version of Hwang's note specifies "the 17th century" and thereby identifies the date for the naming of smallpox as being more than 300 years ago, in the 1600s, which fits better with what I've read elsewhere. Note also that "western" is not capitalized here, better according with direction than with place. As for Christianity, it only first came to Korea after 1784, when the Korean Lee Seung-hoon became a Catholic while in China and returned to Korea to propagate the faith, which Hwang doesn't deal with at all anyway. By "Christianity," he seems to mean "Protestantism," which came toward the end of the 19th century, and I have to wonder if he's using the term "Christianity" to mean "Protestantism," as is so often the case here in Korea. At any rate, Hwang is clearly aware that smallpox preceded Westerners and Western ideas to Korea, so he must be consciously punning on seobyeong (서병) as "western direction" with seoyangbyeong (서양병) as "Western place." As it turns out, the atrocities were committed by none other than ourselves, and the inner sense of guilt and fear sparked by this incident helped form the roots of frantic hatred that thrives to this day. Less than five years ago, when I completed The Guest, I received fierce attacks from both Southern and Northern nationalists. In the South I was targeted by conservative Christian groups particularly, and in the North people were against the book as it admits this massacre was an internal war. Even though the differences are not profound, the online version uses the term "nationalists" rather than "statists" to identify Hwang's critics -- though this raises another problem since practically every Korean is nationalistic by Western standards. Why not just say that Hwang's book was criticized by both the left and the right? There's also that informative extra sentence about "conservative Christian groups," i.e., Protestants. Now that I've read the entire book, I can see why they didn't like it, for it depicts the Protestants in the North as having descended into utter barbarity in their struggle against the Communists. Granted, Hwang states that the Communists committed many of the same kind of brutal massacres, and he does serve as truth-teller to the North in honestly identifying Koreans rather than Americans as those really responsible for massacres that the North attributes to the Americans. However, he depicts in concrete detail those massacres carried out by Protestants and only reports more generally about similar massacres carried out by Communists, leaving the book unbalanced in its effect on the reader. "Well, as you people put it, they weren't believers, were they?" The one who delivers this retort is himself a Protestant Christian, albeit also a Communist Party member, and he's about the only fully admirable character in the novel (though the main character is also admirable), and the point seems to be that since the Protestants had always been so sure that they would act in a morally superior manner, their descent into barbaric depravity was therefore worse because more culpable. Enough for now. I will post again on Hwang Sok-yong tomorrow, for I have some more to say on smallpox as a 'Western' disease. Hwang Sok-yong "anti-American pro North Korean toady"? It is well known that Hwang Sok-yong is an anti-American pro North [K]orean toady. Anonymous, I suppose that I'll find out when I read the book, but my impression is that he's more complex than that, for The Guest was criticized in North Korea -- or, at least, Hwang makes the claim that it was. I'll try to find out for sure, but this sounds plausible since the quote that I noted sounds rather critical of Marxism (as another 'Western' disease). Today, in a district known as Sinch'ŏn in Hwanghae Province, there stands a museum that indicts the American military for the massacre of innocents. The literal translation of the museum's name is "The American Imperialist Massacre Remembrance Museum." Many years ago, when I visited the North, I was given a tour of this museum as a matter of course. Later on, during my stay in New York, I met a Korean minister named Ryu and heard the eyewitness account of his childhood in Hwanghae Province. Not too long afterwards, in Los Angeles, I was lucky enough to meet another survivor who shared with me her detailed firsthand account of the actual wartime incident that led to the founding of the aforementioned museum. With passages like these -- clearly contradicting the North's propaganda on the Hwanghae Province 'massacre' -- Hwang Sok-yong can hardly be called a "pro North [K]orean toady." Perhaps this point was never in serious doubt, but since I've looking into Hwang's reference to smallpox as a Western/western disease, then I felt the point about Hwang's politics needed to be firmly established. Denis MacEoin: "Suicide Bombing as Worship"
I read an insightful article yesterday by Denis MacEoin on suicide bombing as a form of worship, and since I want to share it -- and keep a link for myself -- I'm interrupting my posts on Hwang Sok-yong to briefly blog about MacEoin's article this busy morning. Preeminently, the bombers are referred to as "martyrs" (shuhada', sing. shahid) or "those who sacrifice themselves" (fida'iyun, sing. fida'i). Or search my website for "sacrifice" for more on this issue. I'm curious to know, by the way, if the term "fida'i" is ever used by Christian Arabs in a theological sense to describe the crucified Jesus. Be that as it may, MacEoin's article is very interesting, albeit rather depressing, for it places the "suicide bomber" squarely within the jihad tradition of Islam in order to make sense of the act, an analysis implying that this form of 'worship' might be difficult to discourage. Hwang Sok-yong: Smallpox as a 'Western' Disease? Yesterday, I posted on my puzzlement over Hwang Sok-yong's opening remark about smallpox "as a Western disease," and I'll have more to say about that further below, but I'd first like to quote a couple of passages on smallpox in Korea written by a couple of Westerners around 1900. 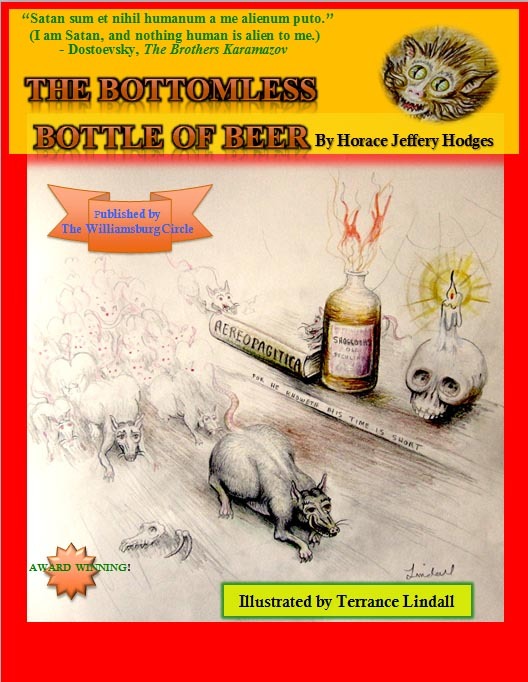 The mu-tang rites are specially linked with the house daemon and with Mama the smallpox daemon. The house daemon is on the whole a good one, being supposed to bring health and happiness, and if invited with due ceremony he is willing to take up his abode under every roof. He cannot always keep off disease, and in the case of contagious fevers, etc., he disappears until the rite of purification has been accomplished and he has been asked to return. The ceremonies attending his recall deserve notice. On this great occasion the mu-tang in office ties a large sheet of paper round a rod of oak, holds it upright, and goes out to hunt him. She may find him near, as if waiting to be invited back, or at a considerable distance, but in either case he makes his presence known by shaking the rod so violently that several men cannot hold it stiil, and then returns with the mu-tang to the house, where he is received with lively demonstrations of joy. The paper which was round the stick is folded, a few fish are put into it, it is soaked in wine, and is then thrown up gainst a beam in the house to which it sticks, and is followed by some rice which adheres to it. That special spot is the abiding place of the daemon. This ceremony involves a family in very considerable expense. But this all has little bearing, of course, on the literary quality of Hwang's novel. Interesting, I would have thought that it did [have bearing on the literary quality of Hwang's novel], insofar as literature purports to say something "true". Good point, Sperwer, if we're speaking of more than the aesthetics of style, and over breakfast with my wife this morning, I was already reconsidering my words (which were a bit hedged, anyway, you may have noted). I might raise the point in my next post, which will have a bit more to say. Consider today's post as raising the point. It's tricky issue, for we're dealing with fiction, which makes up stories to say something 'true', so what ought we to say about an 'error' in a novelist's work? The issue is complicated by the fact that this 'error' about smallpox occurs in the "Author's Note," which is presumably not part of the fictional world created by Hwang but a framing device to enable readers to make better sense of what he's trying to say in the novel. Yet . . . what did Hwang actually say in his "Note"? I had cited him in the English translation by Kyung-Ja Chun and Maya West, but Hwang wrote the original in Korean, so I checked with my wife, who tells me that the term actually used by Hwang is seobyeong (서병 [西病]), which literally means "west disease," i.e., a disease from the west, which would ordinarily just imply that smallpox came from a place to the west of Korea. That would most likely be China, the country directly west. If one wanted to specify "The West" as the source of smallpox in Korea, my wife explained, then the term seoyangbyeong (서양병 [西洋病]) would have been used, for it literally means "Western Disease," a disease from The West. Experts are welcome to comment on various aspects of this conundrum. I'm reading a lot of Korean literature in English translation these days for some committee work that I've gotten myself engaged in. Actually, I got engaged in it for God knows what misperception -- on the part of those who invited me -- that I might in some way be qualified to judge the quality of literature in translation. This work has turned out to be rather time-consuming, but the upside to the task is that I've been given several free copies of very good literature to read. Unlike the Americas, Asia was more than familiar with the disease, and the arrival of Westerners was not associated with the disease. In fact, unlike the American Indians, Koreans had long suffered under the disease. Depending on the historical source, smallpox was introduced into Korea from China in 583 or 586 and two years later made its appearance in Japan. It was for this reason that many of the Korean people believed smallpox was the work of a Chinese demon -- a demon they named "mama," but treated as an honored guest. Because smallpox was the work of a demon, there was no need to see a doctor. Instead, mudangs (Korean shamans) were summoned to convince the "guest" to depart. A Japanese author might well write a novel about the cultural imperialism bringing a new religion and a new disease from Korea and come closer to the historical reality than Hwang does in his "Author's Note."